I love teenage love, super light, common chic flick type of movie. That's probably my guilty pleasure. Movies that won't make you think or cry too much. Just pure kilig. 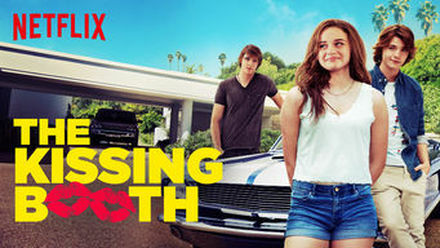 And that's exactly what I got with Netflix's The Kissing Booth! This is a simple story of a girl, her boy bestfriend and her bestfriend's hot but bad boy big brother. The entire time I was actually thinking she'd eventually end up with the bestfriend (like duh! it always happens) but then she ended up with the super hot big brother. Hahahaha! I really love that this film is just light and fun to watch. After a very stressful work week, this movie is a breath of fresh air. I love the main characters on this film. And that big brother is HOT! Hahahahaha! Pagpasensyahan nyo na ang matrona mga baksh ah. Hahahaha! I super love this Netflix originals. I'll share some sorta review of my favorites ah. Watch nyo din.